There are all sorts of tree care companies in Sarasota Springs, FL, but none of them compare to our team at Sarasota Tree Care Services, which is your one-stop shop whenever you need tree pruning, tree trimming, tree removal, and more. We have the experience to fully understand and evaluate your issue and have it resolved at a reasonable rate. While other companies are attempting to lowball you because they do not truly care about trees, we have certain standards that we adhere to, with regards to both safety and professionalism. Our goal is to make sure that our clients and customers are completely satisfied. We truly want every tree that we come into contact with to be safe. This involves an assessment as to what kind of personnel and equipment will be needed for each job. For example, are there any power lines nearby? This could pose an obvious safety hazard that you might not have thought of if you attempted to remove the tree on your own. We take our time, because we know that safety is more important than completing a job quickly. If you are truly looking for proficient tree experts that know what they are doing and can make sure that your trees are healthier and safer than ever, give us a call. We have the knowledge and skills to make sure that everything is handled correctly. 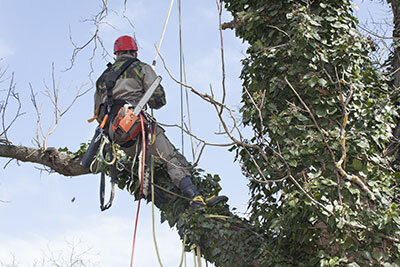 Our company has certified arborists on staff that are ready to diagnose every situation and make sure that the right plan of action is mapped out. 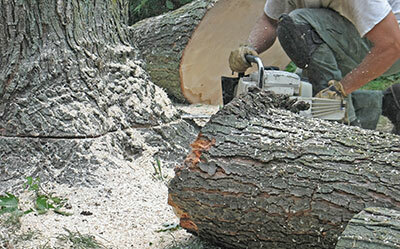 Many of our customers often ask us why it is so important to trim your trees. First, it can help prevent the spread of disease. You might consider tree trimming a minor chore that isn’t really that necessary. The truth is that while it might seem like something small, trimming can actually help in a lot of different ways. You might see dead and dying branches, without realizing that there are other factors at play, like the fungi and insects that result from these branches. As a result, we know that the right pruning and trimming truly creates an ecosystem where trees can be healthier than ever at your home or business. There are many old trees in Sarasota Springs, FL, that provide much-needed shade, and we want to make sure that they stick around for years to come. We do our best to make sure that these trees have the longest life possible. That’s why we concentrate on trimming trees, because if a tree becomes overgrown, issues can arise where a tree can actually damage your home. Trimming can also do a lot for aesthetics, and make your home appear more comfortable, and a business appear more professional. No one wants to have a tree look obviously out of place because of its size or shape. At Sarasota Tree Care Services, our aim is to provide the best customer service in Sarasota Springs, FL, and the surrounding areas. We truly take every step possible to make sure that the trees are in the best shape possible, and our customers are as satisfied as can be.